I would like to ask if some could help me draw the maps of a portion of West Africa i.e. 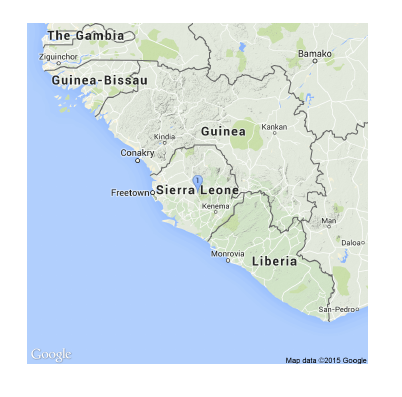 Guinea, Liberia and Sierra Leone using LaTeX? Thank you. This was done on Win 8.1 with Miktex (full installation) and R 3.1.2 with the maps and mapdata packages installed. This is not the only way to plot maps using R. There are links for using googlemaps, geodata, etc. 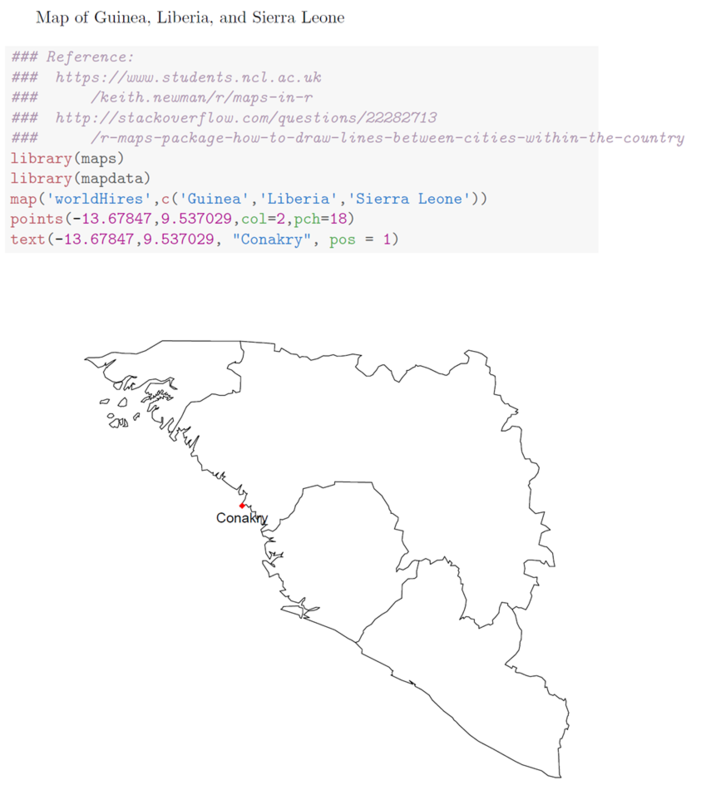 Simply search the web with "using R" maps country and browse. If you go to http://www.r-bloggers.com/?s=maps you will have links to over 800 discussions and examples of using maps in R.
From there just Google "shape file " open it in QGIS, set the coloring however you want, and use the print preparation dialogue to save the section you want to. The advantage of qgis is that it's easier to include many layers of map data and then only export sections. I used this with road, waterways, and outline data across three countries. Not the answer you're looking for? Browse other questions tagged diagrams or ask your own question. Drawing a circle in the complex plane. How to draw this picture with Latex? Drawing a diagram in latex. Can some one help to draw this graph?